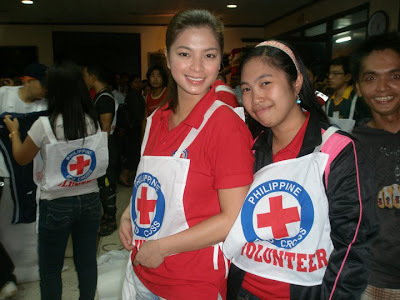 Looks like Angel Locsin is indeed an angel in these photos where she actively participated in the Red Cross' packaging of relief goods intended for Juan victims in North Luzon. Thousands were left without a house in the recent typhoon the struck Luzon. Way to go Angel Locsin. Your name literally describes your cause especially in these pictures.